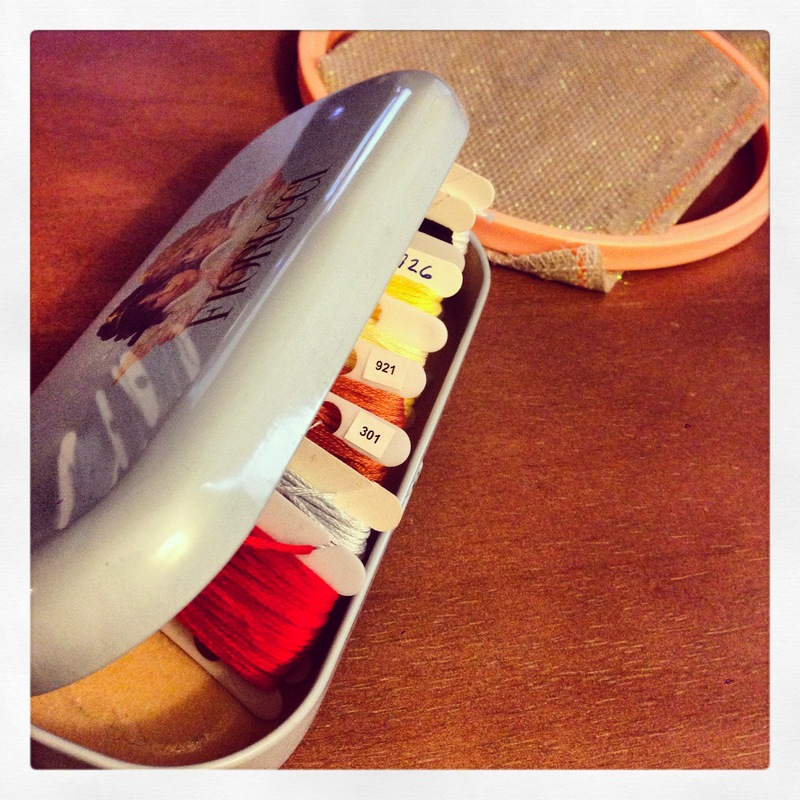 Another successful Pinterest project… I’m on a roll this week! 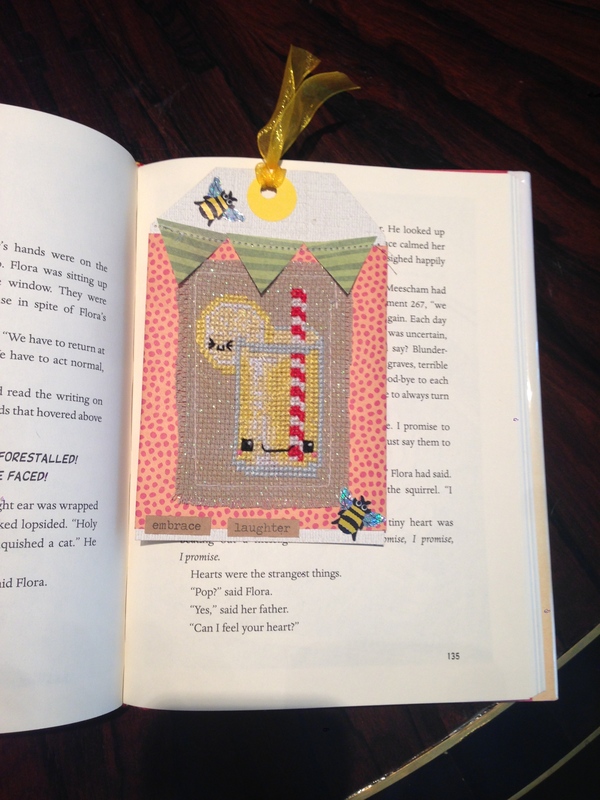 I saw the very cutest bookmarks EVER from Hey Porkchop using her Frosted Pumpkin mini patterns and started trolling Pinterest for a tutorial… but I couldn’t find any that I liked at all. 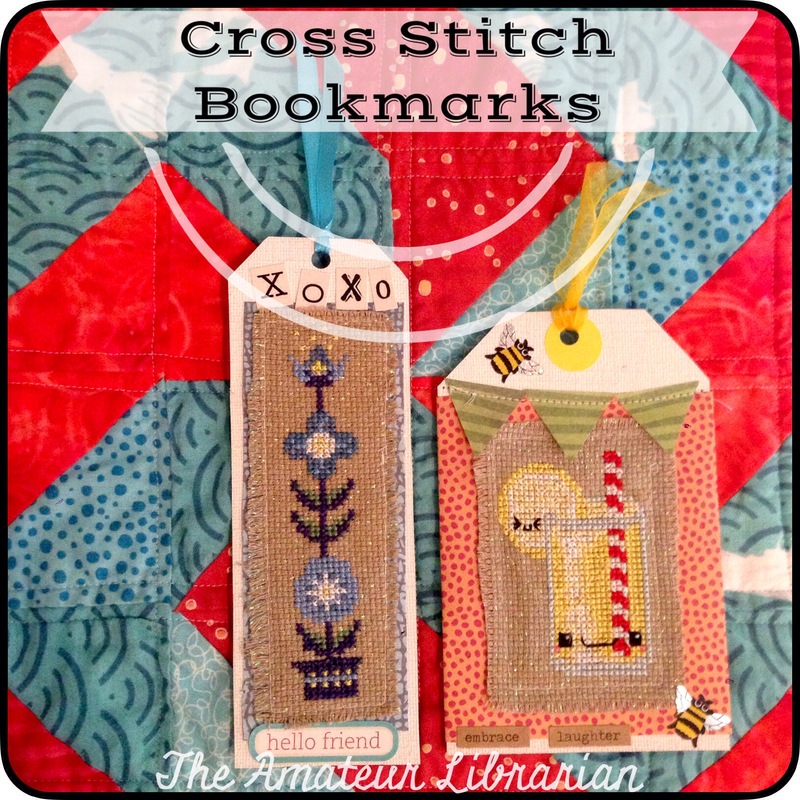 Most “cross stitch bookmarks” look pretty old fashioned, and that’s not the look I was going for. So I pinned the image from Hey Porkchop and spent lots of time studying it carefully… and then just made it up as i went along. I really hope Amanda puts together a tutorial at some point, but in the meantime here’s my interpretation! 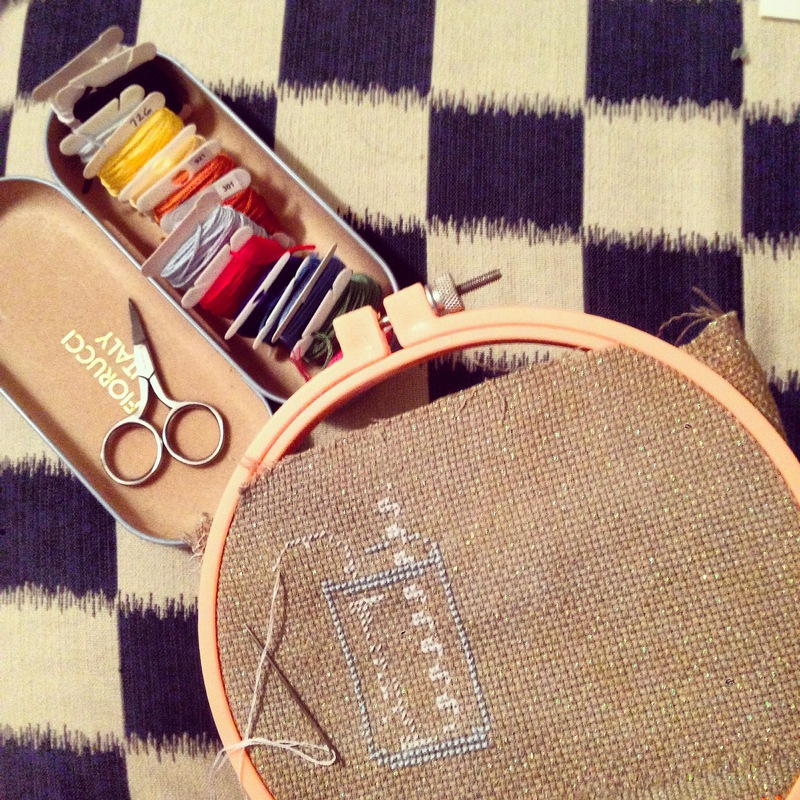 Time: A weekend… cross stitching takes a while! 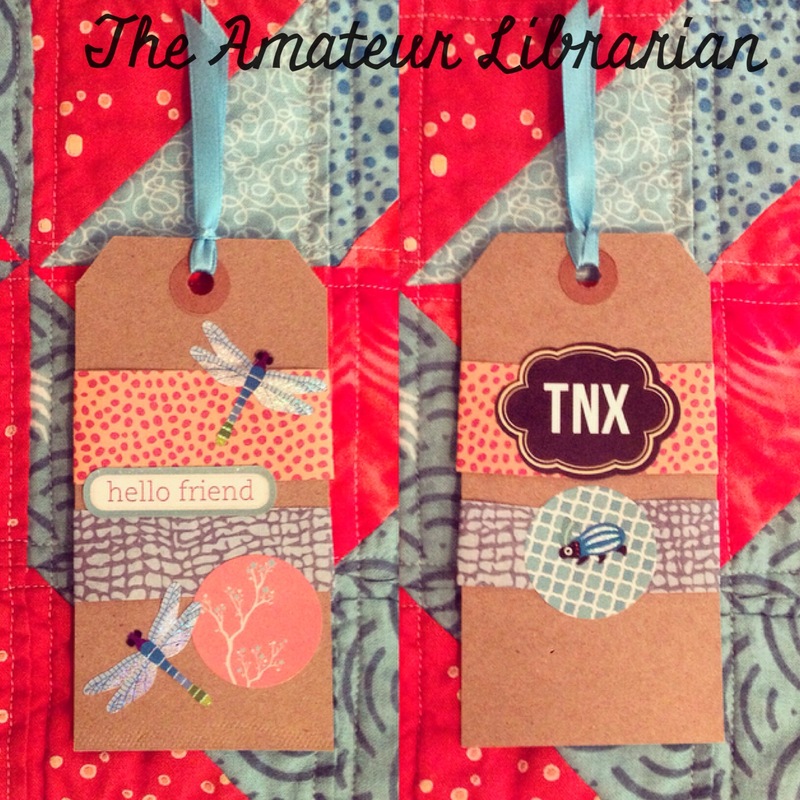 optional embellishments: ribbon, stickers, scrapbook paper, hole puncher, etc. 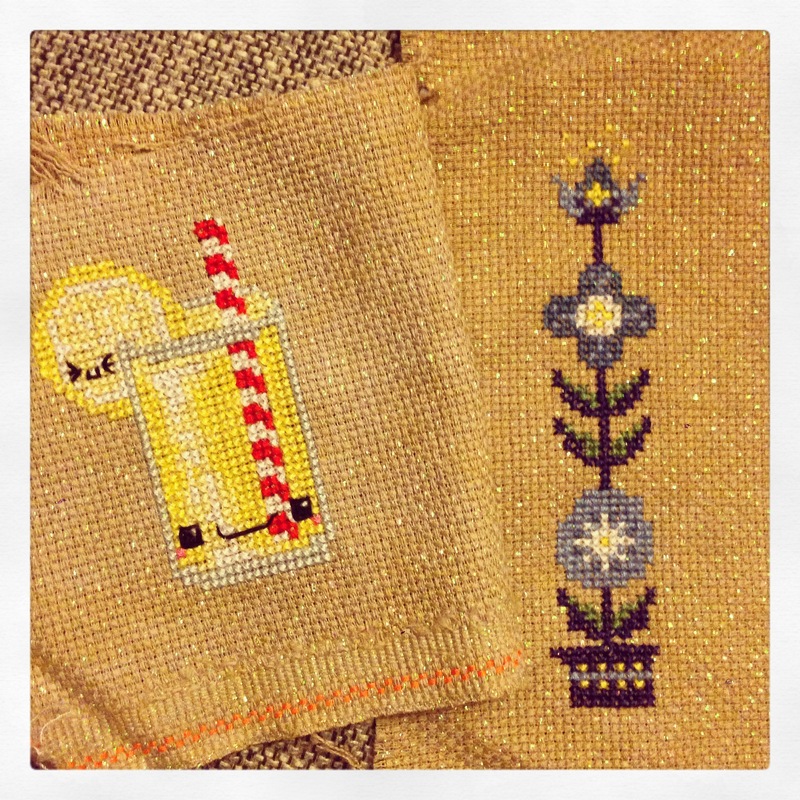 I used scraps of leftover fabric to cross stitch some small designs. 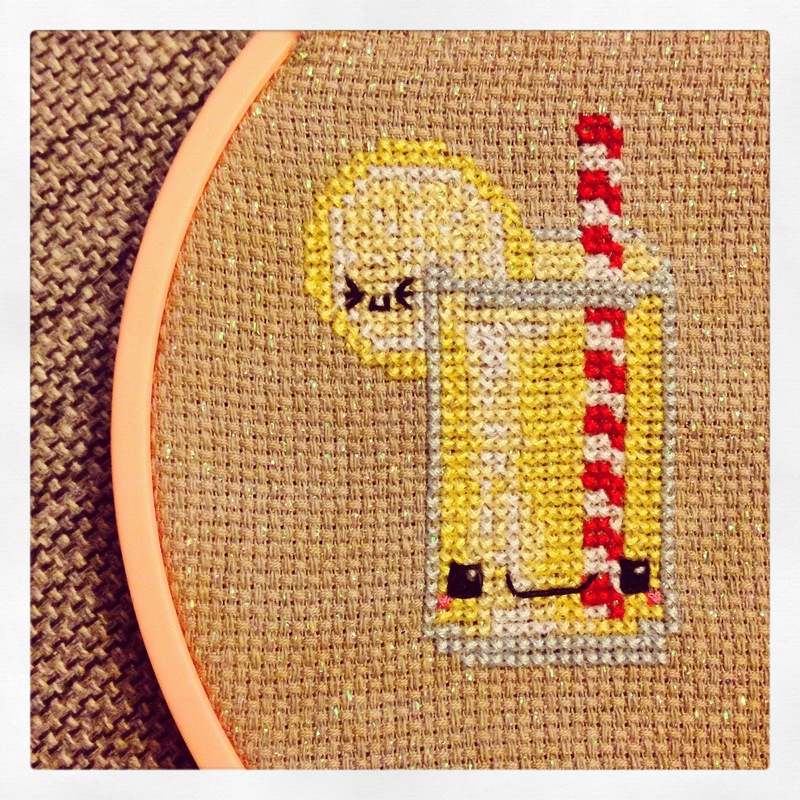 The lemonade is from Frosted Pumpkin Stitchery (no longer available), the flower totem is a freebie from Kitschy Digital, and the “A” initial is from a thrifted book of cross stitch samplers. 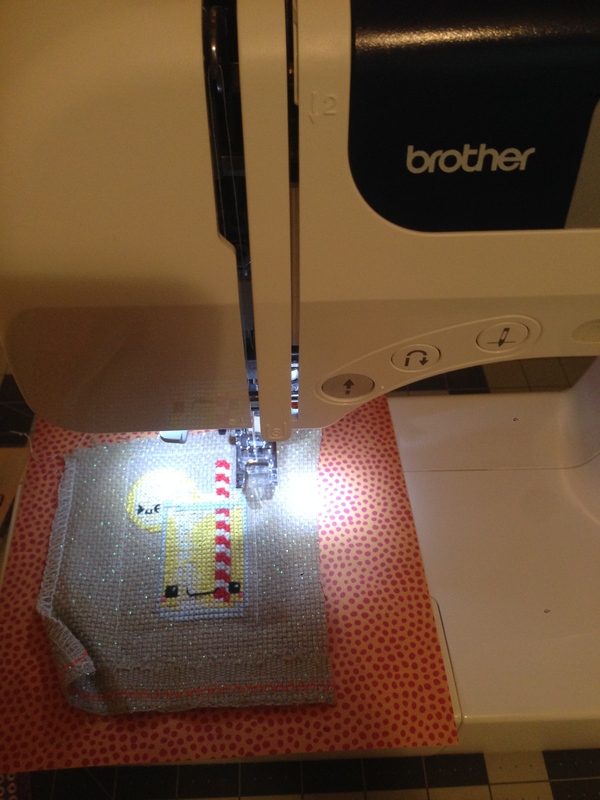 Then the scary part… sewing the cross stitch onto paper… but it’s really not as bad as I was dreading! 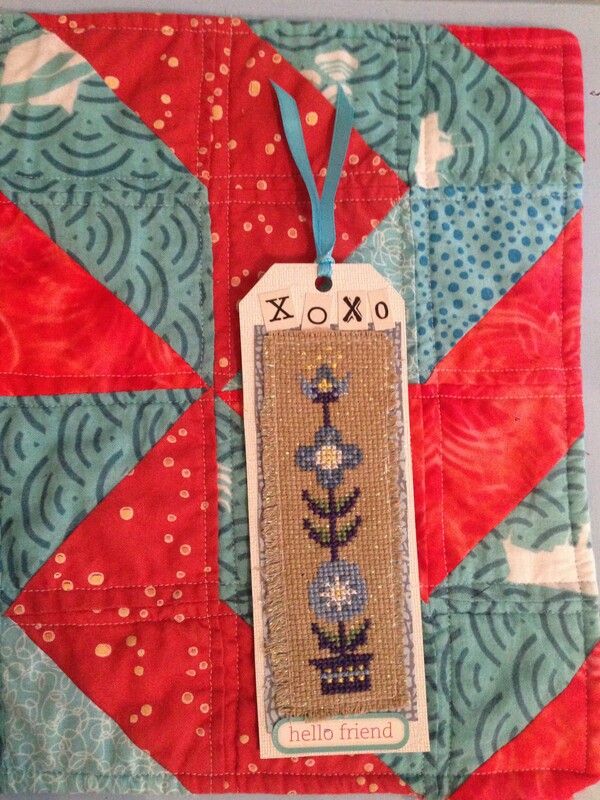 I chose some thin scrapbooking paper and sewed the cross stitched design right on top. I tried to keep the lines as straight and evenly spaced as possible, but it’s not perfect. 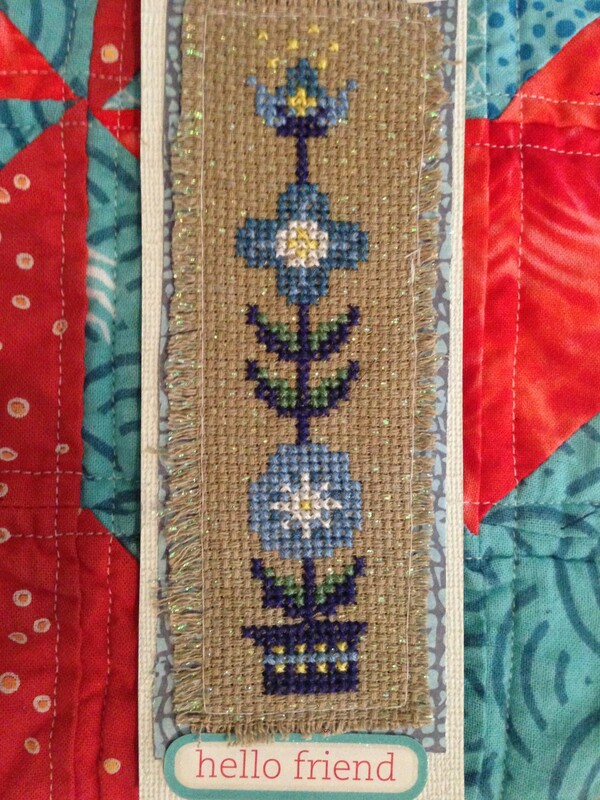 I lengthened the stitch to give as much leeway as possible, and used white thread so it blends in. 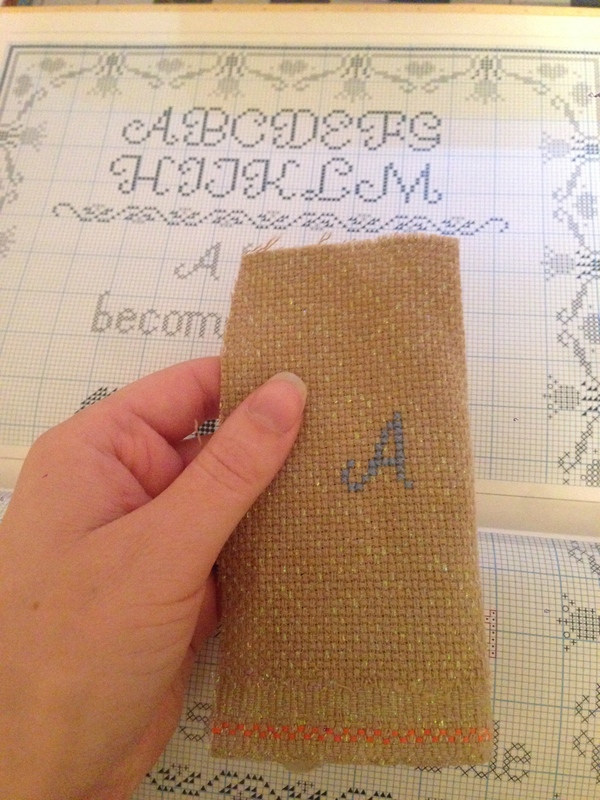 Then I trimmed the aida cloth to about 1/4-inch and pulled a few threads to fray them. 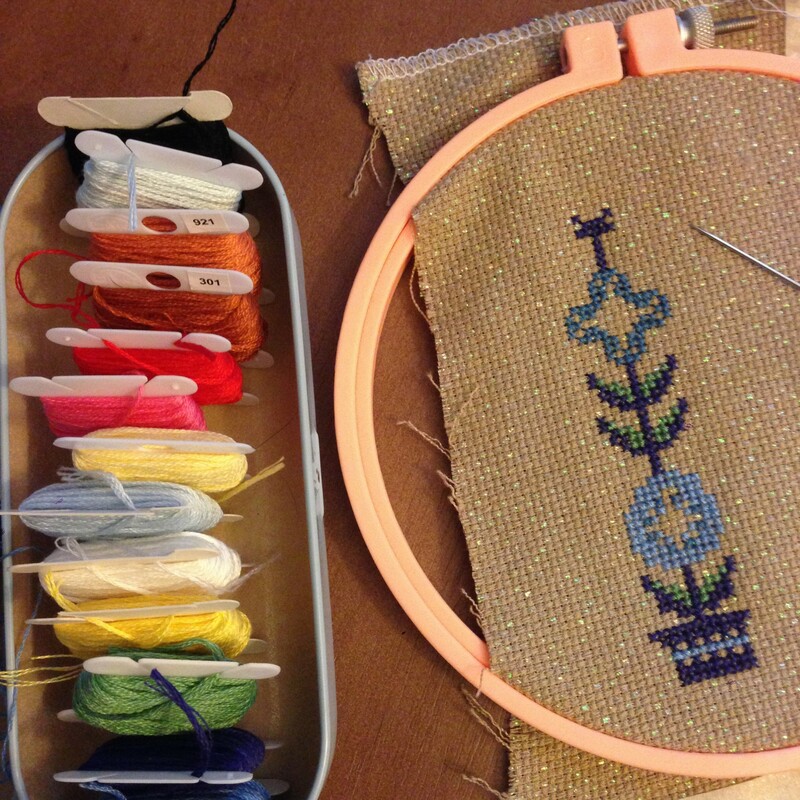 Then, let the embellishment begin! 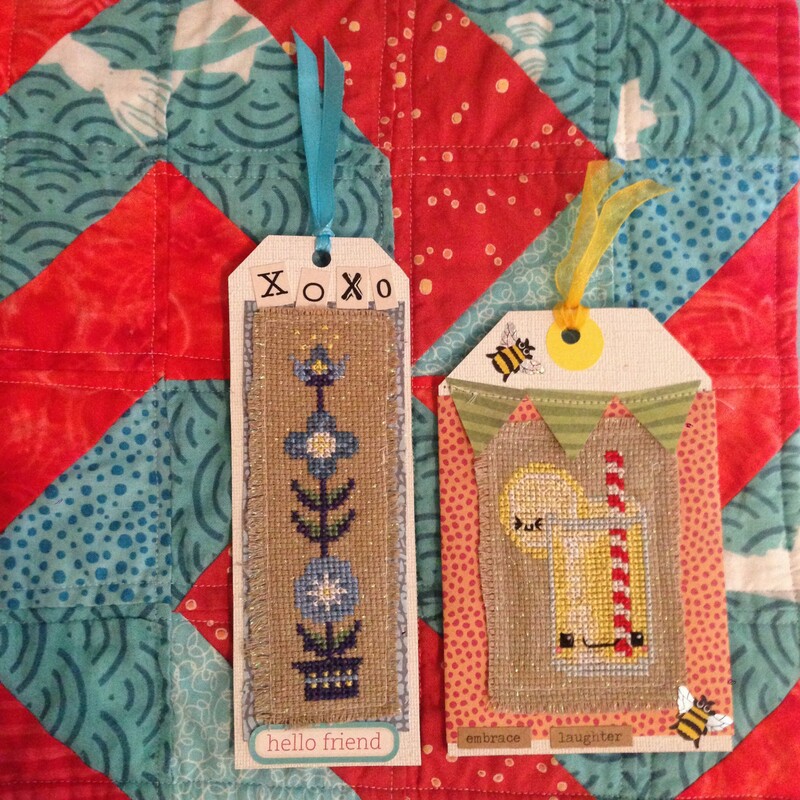 I didn’t use any glue, just folded the scrapbook paper around the gift tag and fastened with stickers on the back. 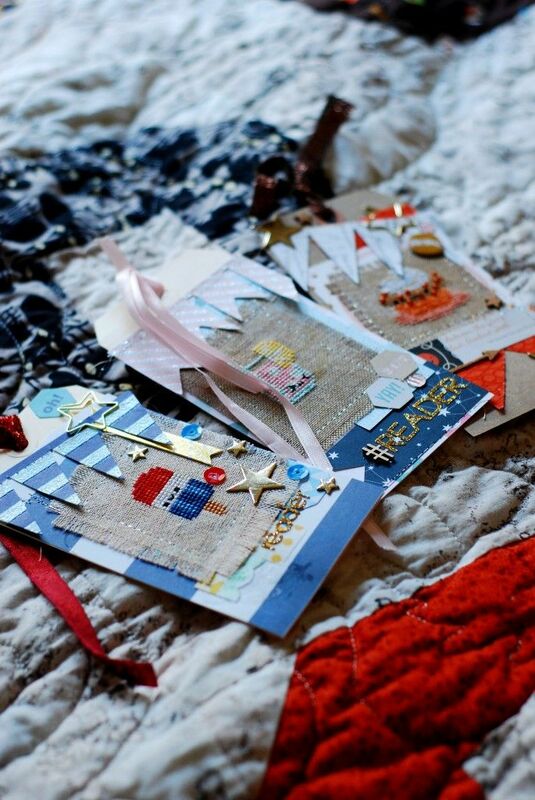 For the bunting, I cut out triangles and sewed them directly to the gift tag. 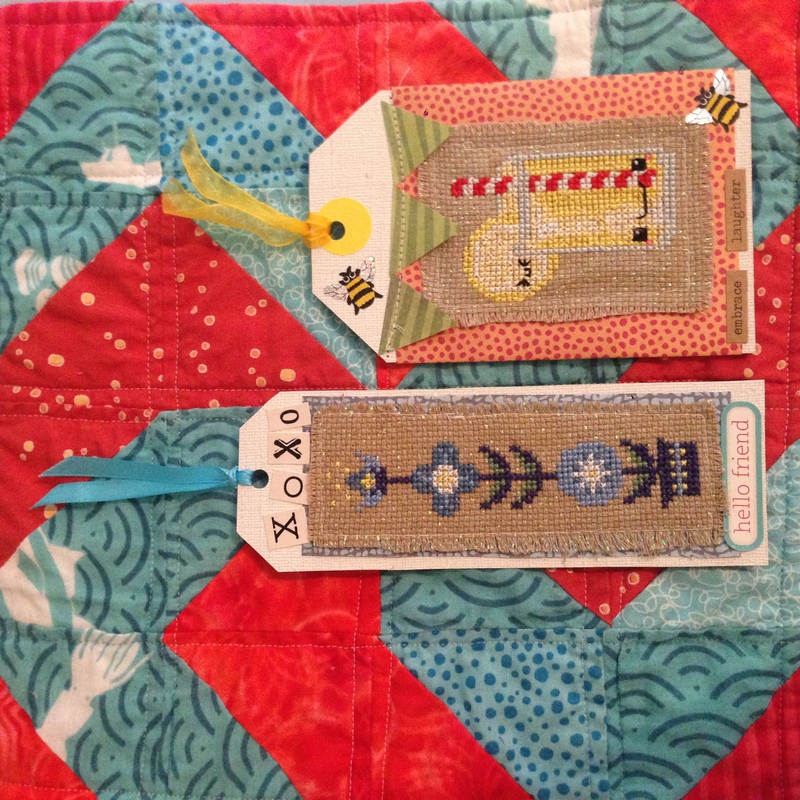 Then added lots of stickers and a ribbon on top, and all done! 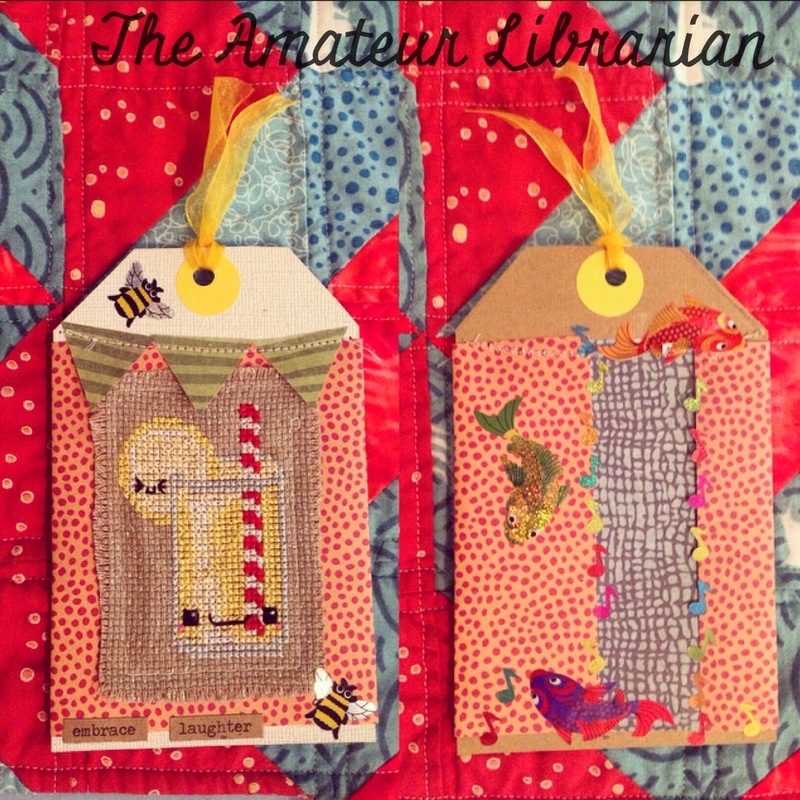 I found some gift tags I found at JoAnn’s, but if the design was too big I just made some out of cardstock. 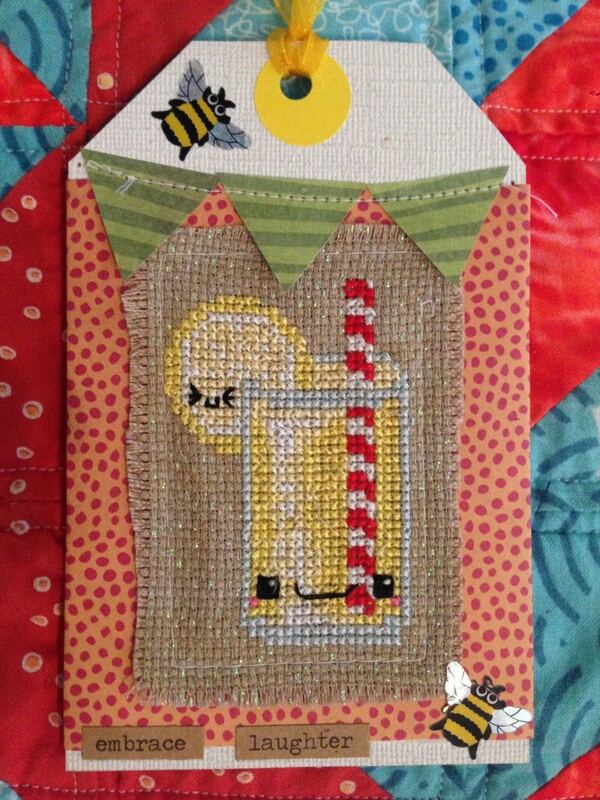 I used the storebought tags as a template and traced the top part onto cardstock, then punched a hole at the top. 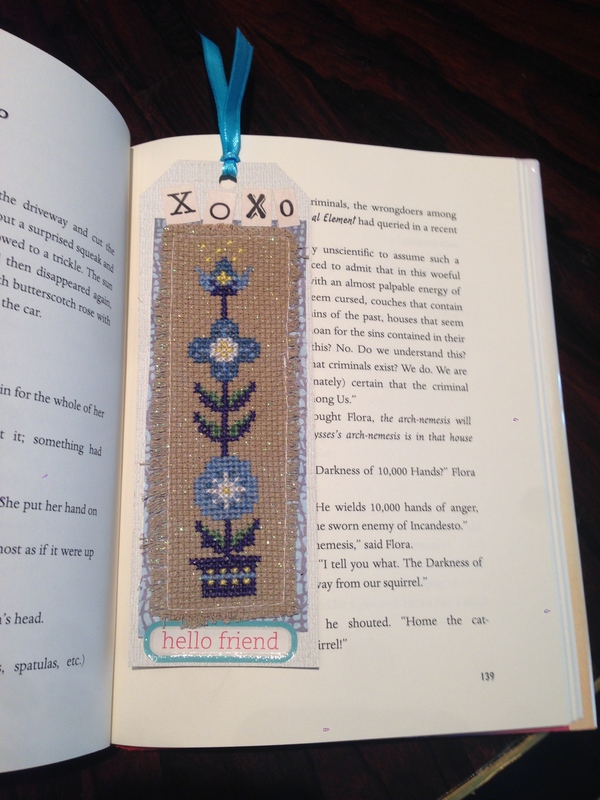 And of course you don’t have to cross stitch anything to make a cute bookmark… you can just decorate a gift tag with some paper, stickers, and a ribbon. So much fun!! 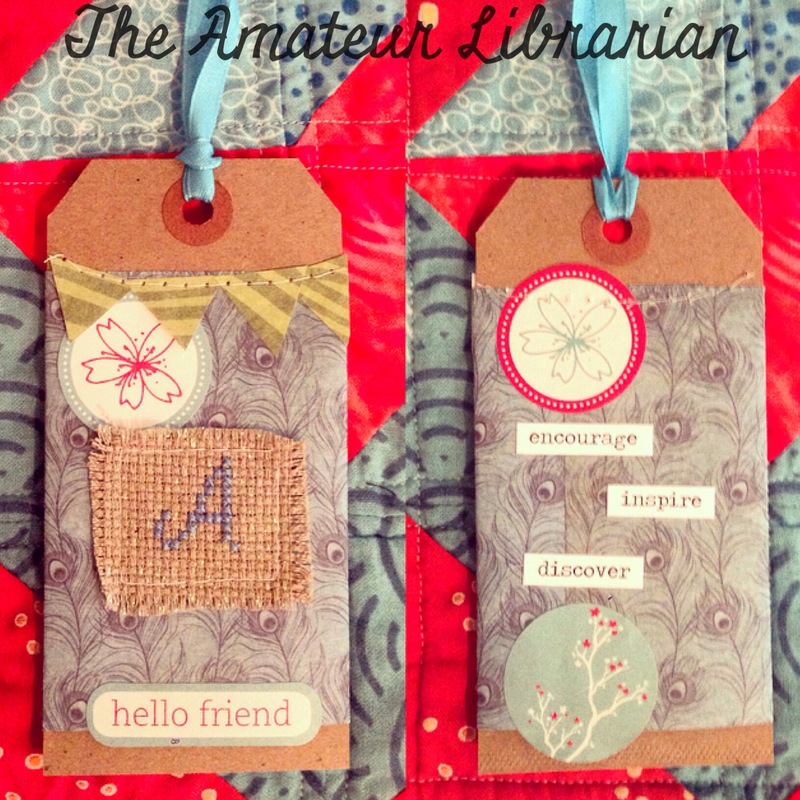 I had a blast making these. 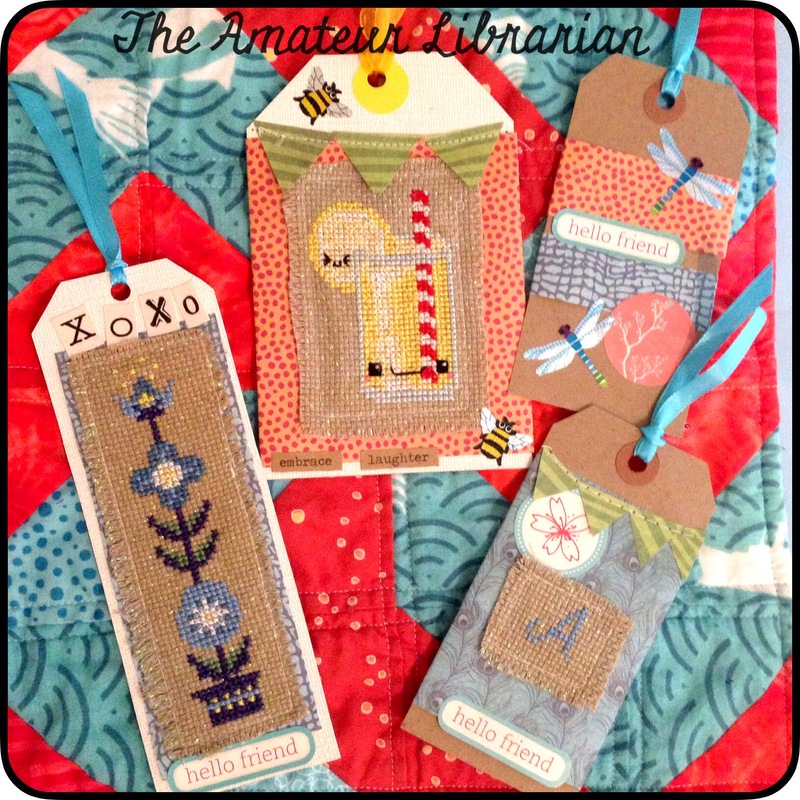 I’ve been using a couple bookmarks and I’ll probably be making more… these just might be the presents everyone gets for Christmas this year!